Hi Everyone, and welcome to the March edition of the PFP newsletter! We want to first thank everyone who joined us for our very first speaker series about maximizing LinkedIn with our good friend, Michelle Weathersby. Check out the event details below, and mark your calendars for June 26th and October 9th when we’ll continue our speaker series (see below for specifics on upcoming events). This month, we have some exciting updates from our Dallas chapter, and a few different pieces of content from around the web to revisit the Foundations of EQ and share current examples of its importance. EQ is the foundation of the PFP mission and we’re learning more every day about how powerful of an impact these skills can make. As your conduit to the realm of Emotional Intelligence and the people-first philosophy, it’s our job to curate that content for you. Thank you all for stopping by, we hope you enjoy this edition of the newsletter, and we look forward to seeing you all at our upcoming events! For those of you who have been following along, you may remember our monthly book reviews. This month, we decided to change things up a bit. Keeping with the theme this month of the foundations of Emotional Intelligence, we are excited to share a podcast we all enjoyed by Dr. Marc Brackett from the Yale Center for Emotional Intelligence. A core pillar of PFP is enablement and we aim to bring valuable EQ and Professional related sessions to our members at little to no cost each quarter. On March 11th PFP-Raleigh held our first ever Guest Speaker led Enablement Event at HQ Raleigh. The event was a free Lunch and Learn focused on improving and maximizing one's LinkedIn brand for career growth. What a great session and you certainly missed out if you weren't able to attend — Thanks again, Michelle! Stay tuned on our website for upcoming series on Social Emotional Learning and Networking 101 later in the year. About the Speaker: Michelle Weathersby is the CEO and founder of LENS Consulting Firm with a focuses career development through coaching, consulting & webinars. She has written 2 books on resume creation and LinkedIn strategies and is working on her third book on Leveraging LinkedIn. Michelle works with executives and professionals who are transitioning from one career to another. She is also a writer for City Insights and for Forbes Coaches Council. 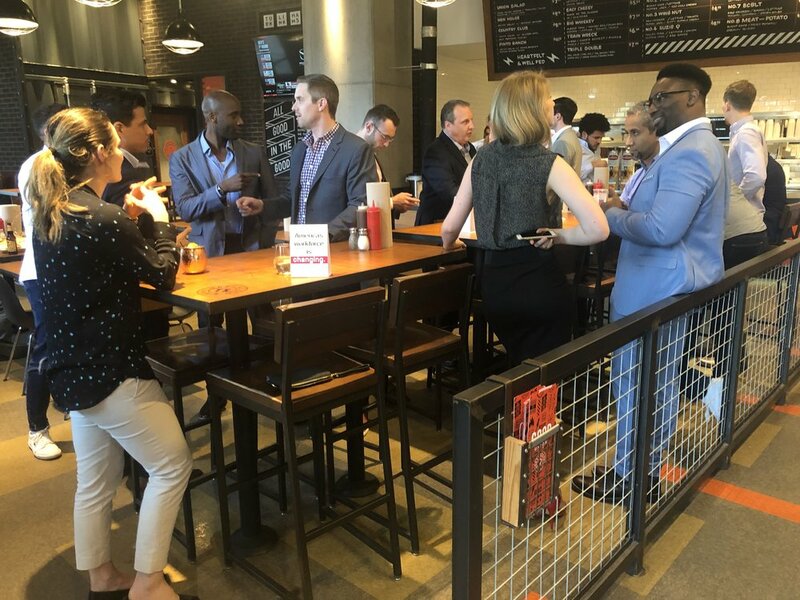 In the past, I would just say it was the food or the hair, but after the March 19th PFP Networking Pop-Up, I’d say the diversity is huge as well! This past fall, I had the opportunity to join PFP on a journey to create an ecosystem of like-minded professionals who wish to better themselves, their industries, and most importantly, the community around them. This is the mission of PFP, and two weeks ago we kicked thing off in a big way down here in Dallas. I’d like to give a big shout out to the newest members of our TOLA Leadership Team, John O’Brien and Chris Sam, along with everyone who made an appearance to our first Pop-Up event. The team and I are gearing up for our first Lunch and Learn Event and our second Pop-Up this May. As the dates approach, you can expect more information from us on how PFP is uniquely designed to leverage Emotional Intelligence as a means to deliver change in the workplace, our personal lives, and the DFW community.